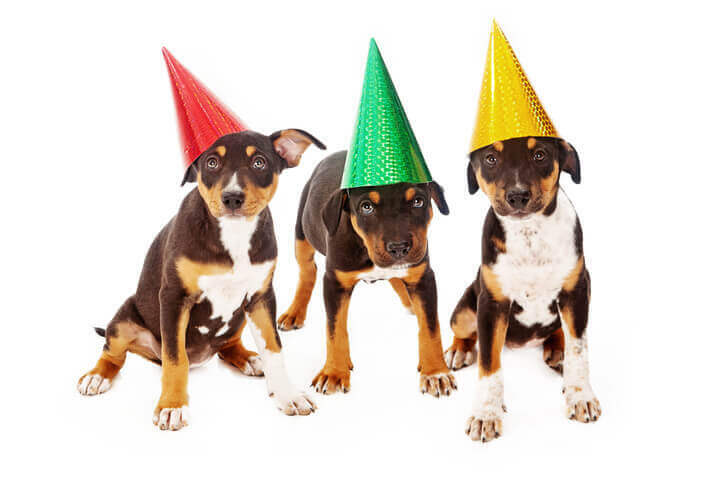 Raise the “Ruff” — It’s March Birthday Time! Pardon the inter-ruff-tion, but we happen to have some very important birthdays to announce. With over 130 Camps across North America, there’s always something to celebrate. So, without further ado, let’s put our paws together for all those Camps established during the month of March over the years. Remember, the twos aren’t so terrible when they’re spent at Camp. Looks like you’ve reached the tail-end of your puppy years, but there’s plenty more to celebrate ahead. High four to our Port Charlotte Camp, celebrating their fourth birthday at the end of this month! How about a round of appaws for our Temecula Camp turning six this year? Just one more year of frolicking with furry friends away from double digits! Hip, hip hooray! It’s been 12 years since you first marked your territory in Monument, Colorado.